Homerton was the location for one of the earliest hospitals erected by the Metropolitan Asylums Board which had been set up in 1867 to administer care for certain categories of the sick poor in metropolitan London. 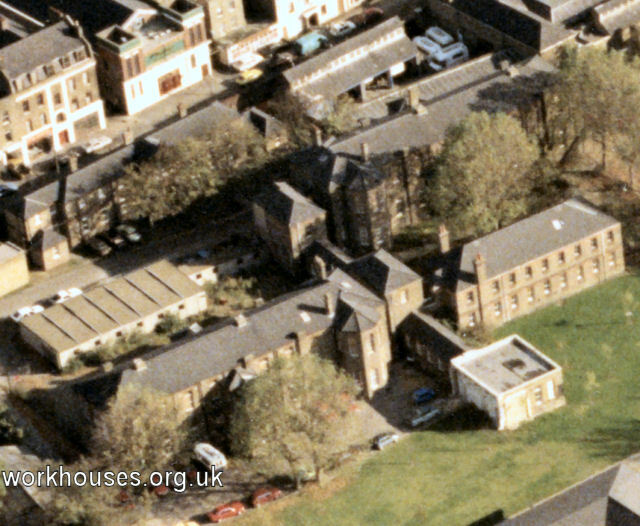 The Homerton Hospital occupied a site at the north side of The Grove in Homerton, directly next to the East London (later City of London) union workhouse. It opened on 26th February 1871, shortly after its counterpart the South-Western Fever Hospital, at Stockwell, and at the height of a smallpox epidemic in the capital. Like Stockwell, Homerton was two hospitals in one, with a 200-bed fever hospital at the north and a 100-bed smallpox hospital to the south, both designed by Messrs. John Giles and Biven. The site location and layout are shown on the 1882 map below. From 1873, it was decided that imbecile children should be removed from the MAB's asylums at Leavesden and Caterham. They were initially placed in Hampstead which at that time was largely unoccupied. Teachers were appointed in an experiment to try educating 'idiot' children. However, a new outbreak of smallpox in 1876 led to Hampstead's reversion to a smallpox hospital. The children were temporarily removed to a disused orphanage at Clapton (later the Salvation Army Congress Hall) pending the completion of a new children's asylum at Darenth. Ever since the first MAB Hospital had opened at Hampstead in 1870, there had been continuing public concern about the siting of smallpox hospitals in residential areas. A brief article in The Times on 22nd December, 1880, further inflamed public anxieties. The proper controlling of ambulances. The Principal of the nearby Training College on College Lane had reported seeing an ambulance stop outside the nearby Lamb and Flag tavern with its windows open. Bystanders had been conversing with the patient and probably offering him drink. The widening of approach roads to the hospital. The purchasing and demolition of cottage properties adjacent to the hospital to ensure a belt of open ground. The regulation of relations between the hospital and visiting tradesmen and workmen, perhaps by erecting stores at the perimeter of the site. In its report the following year, one of Royal Commission's main recommendations was that smallpox cases should be treated in isolated hospitals on the banks of the Thames or in floating hospitals on the river itself. It also proposed the setting up of a properly regulated ambulance service based on both land and on water. From 1884, the majority of smallpox patients were treated on the MAB's hospital ships Atlas, Endymion and Castalia, moored on the Thames at Long Reach near Dartford. From around this time, Homerton became known as the Eastern Hospital. By 1921, the number of smallpox cases still being sent to Homerton was insufficient to justify a separate hospital and the smallpox hospital was amalgamated with the Eastern Fever Hospital as it was then known. 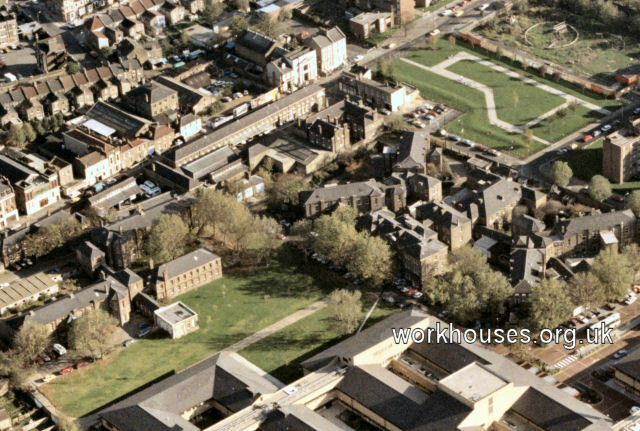 In the same year the buildings of the adjacent East London Union workhouse were also incorporated into what became the Eastern Hospital. In the 1920s, scarlet fever and diphtheria were the main diseases treated at the Eastern and the majority of its patients were children. They were kept in isolation cubicles until the diagnosis was confirmed when they would be moved to a general ward. The patients wore rough flannel nightdresses and black boots, and there was an unappetising menu of weak cocoa with marmalade sandwiches for breakfast. In 1930, control of the Eastern Hospital passed to the London County Council. During the Second World War, the Eastern provided accommodation for St John's Hospital for Diseases of the Skin which had been severely bombed. With the formation of the National Health Service in 1948, the Eastern was one of four hospitals administered as the Hackney Group, the others being Hackney, the German and the Mothers' Hospital. In the post-war years the Eastern played an important part in combating two of the most feared diseases of that time — tuberculosis and poliomyelitis. In 1974 the Eastern became part of the newly-created City and Hackney Health District. Eastern Hospital site from the north-west, Homerton, 1980s. 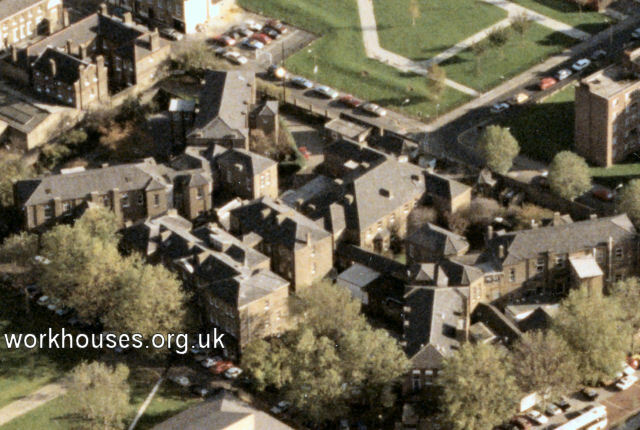 The hospital closed in 1982 and shortly afterwards most of the old buildings were demolished and the new Homerton Hospital was built on the site. Bridges, John Henry (1882) Report on the Alleged Propagation of Small-pox from Homerton Hospital to Houses in the Vicinity in PP. 1882, XXIX, p364.